Hardcover, 7.75 x 10.25 in. / 312 pgs / 170 color / 25 bw. 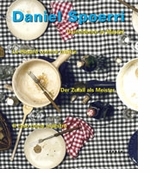 In 1968, artist Daniel Spoerri founded Restaurant Spoerri in Düsseldorf; two years later he opened the Eat Art Gallery, where artists such as Joseph Beuys, Roy Lichtenstein and Dieter Roth exhibited objects made of foodstuffs. 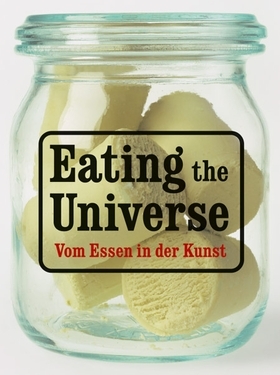 Taking the activities of Eat Art as its starting point, Eating the Universe gathers together artworks that have been made using edible materials, starting in the 1970s and continuing through to the present day. Over the past decade in particular, artists have evinced a growing interest in food and eating, concomitant with an increasing overall consciousness about the political, ecological, cultural and economic dimensions of what we put in our mouths. With 170 color images, Eating the Universe presents a range of contemporary artwork that explores linkages between food and the formation of identity, societal affluence, globalization and awareness of one's own body. FORMAT: Hbk, 7.75 x 10.25 in. / 312 pgs / 170 color / 25 b&w.